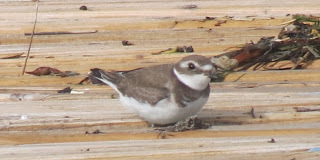 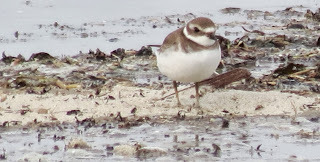 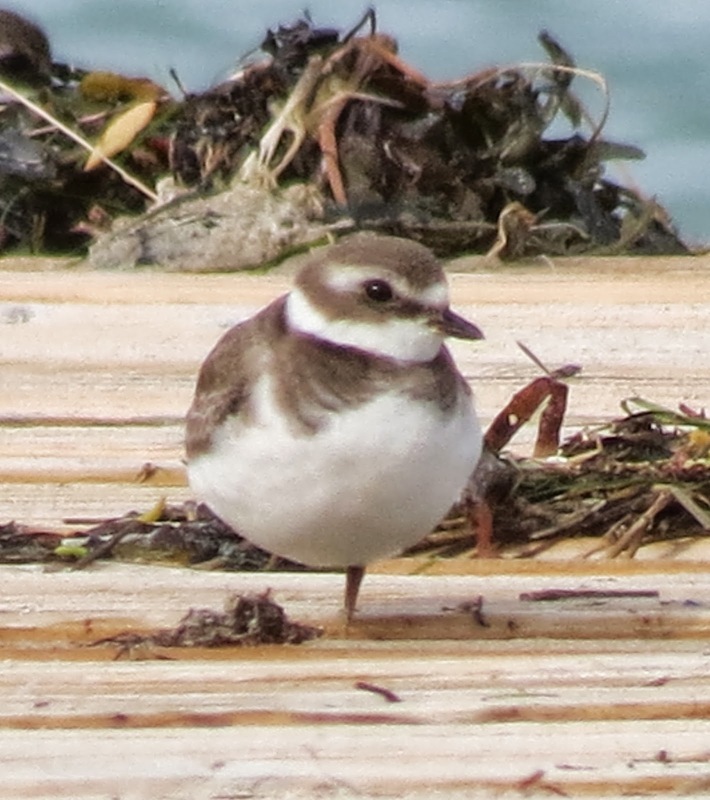 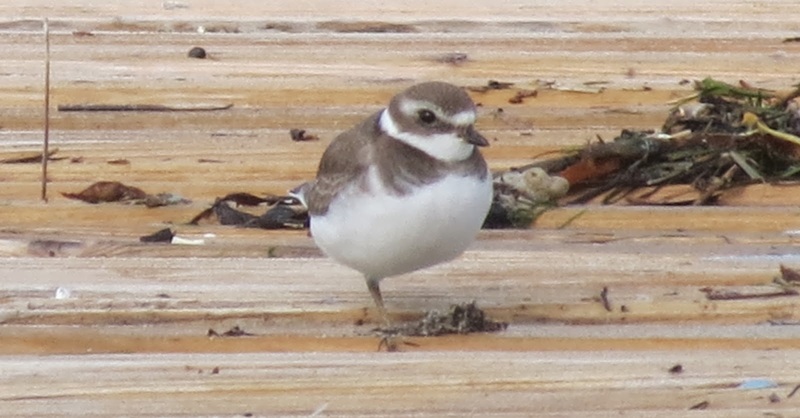 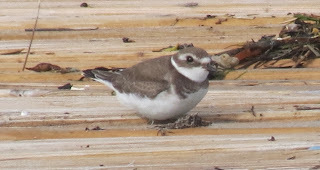 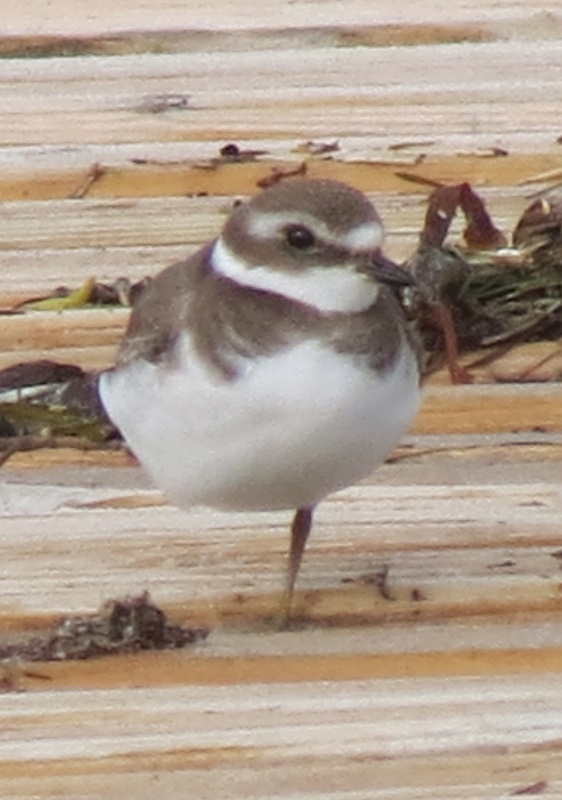 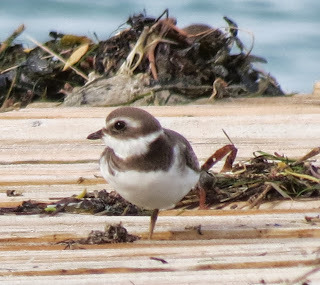 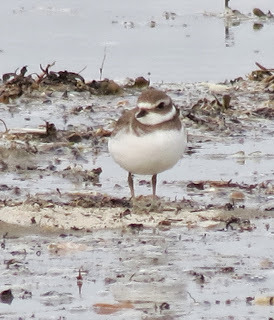 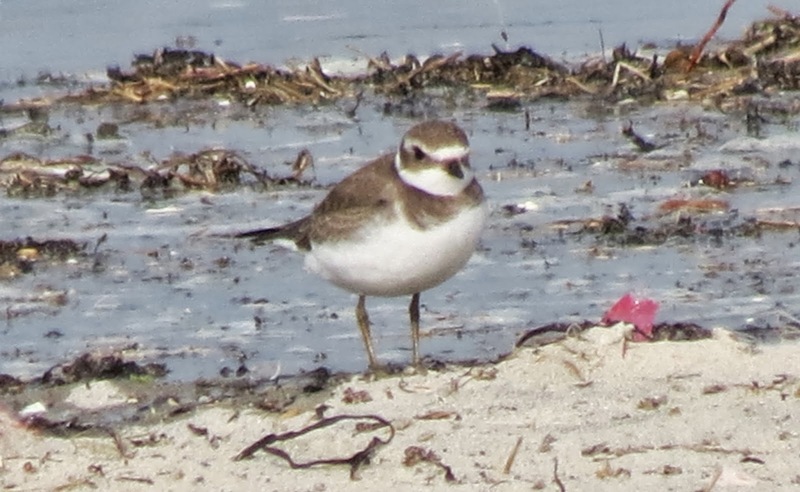 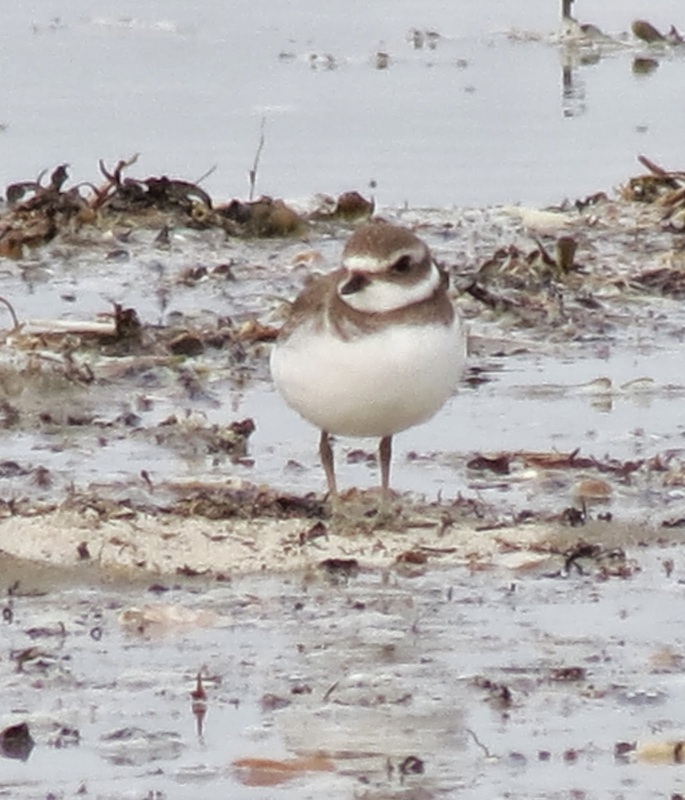 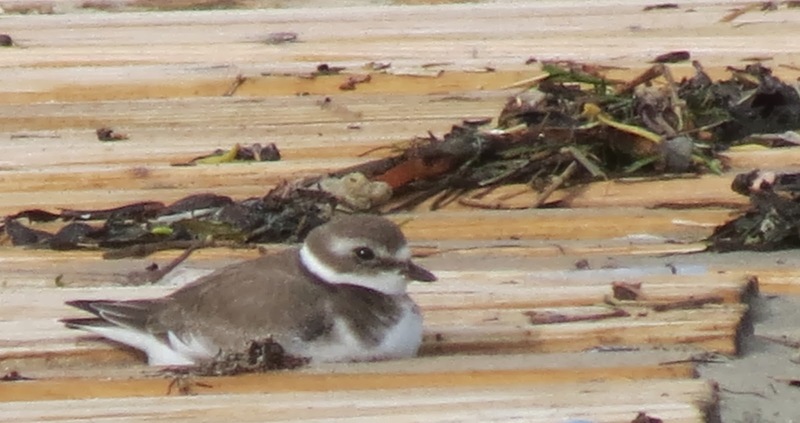 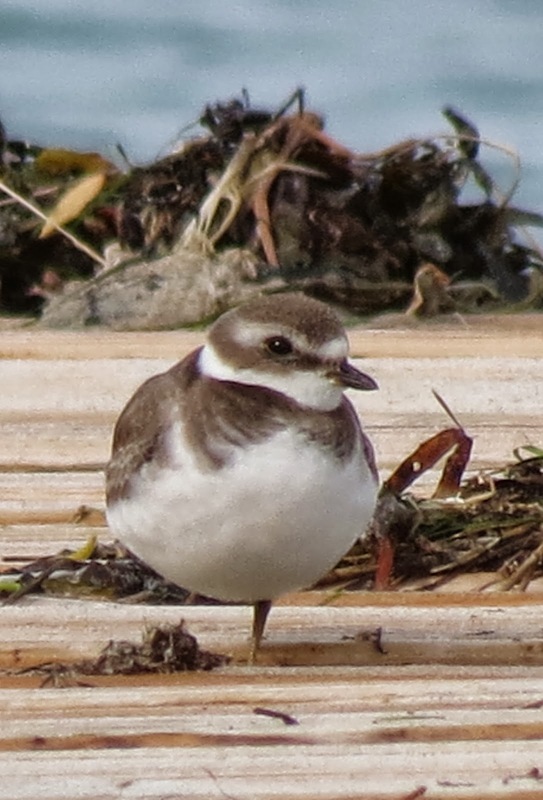 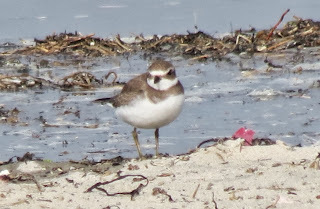 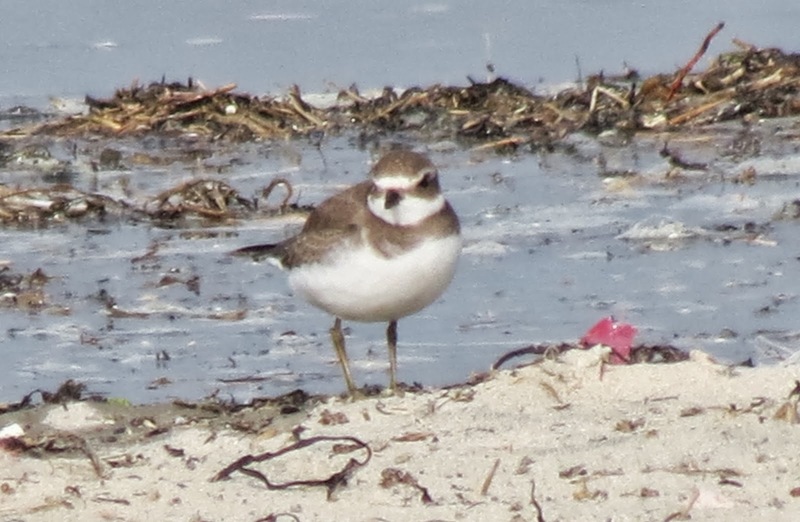 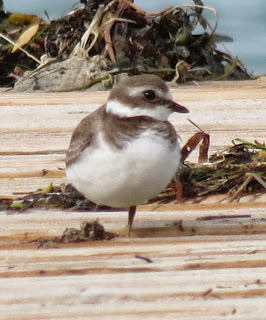 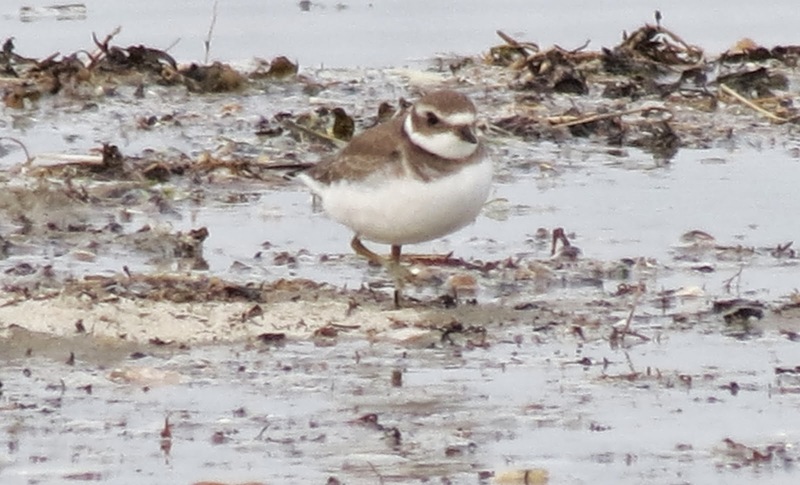 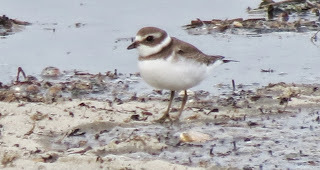 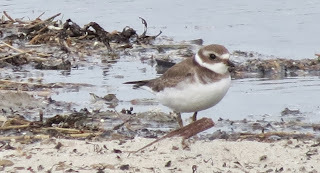 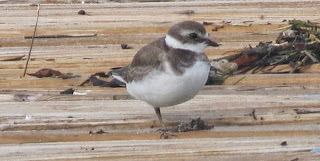 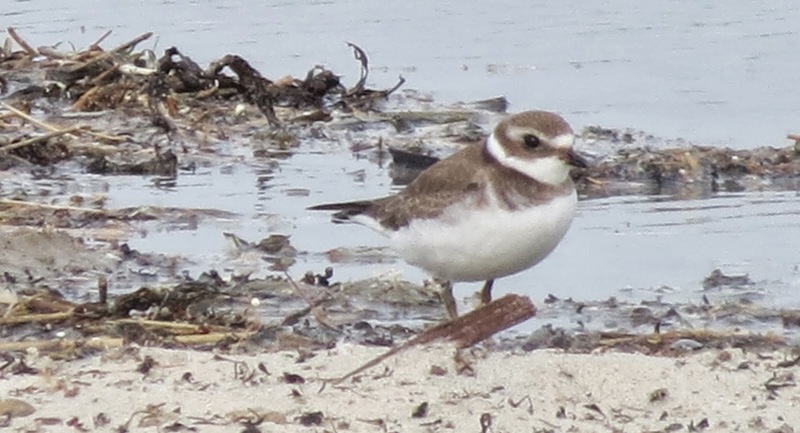 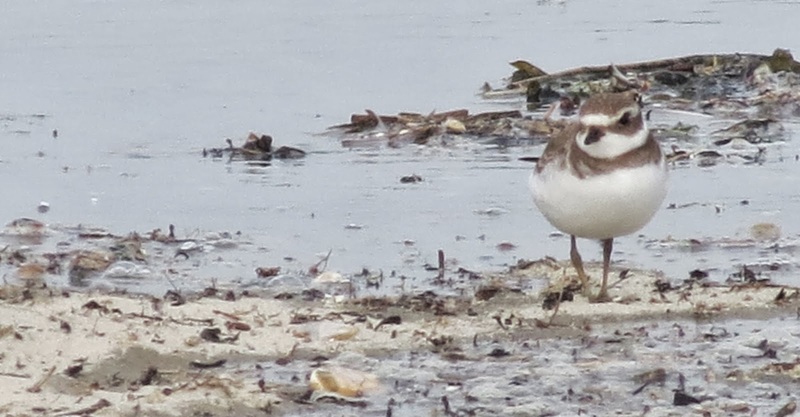 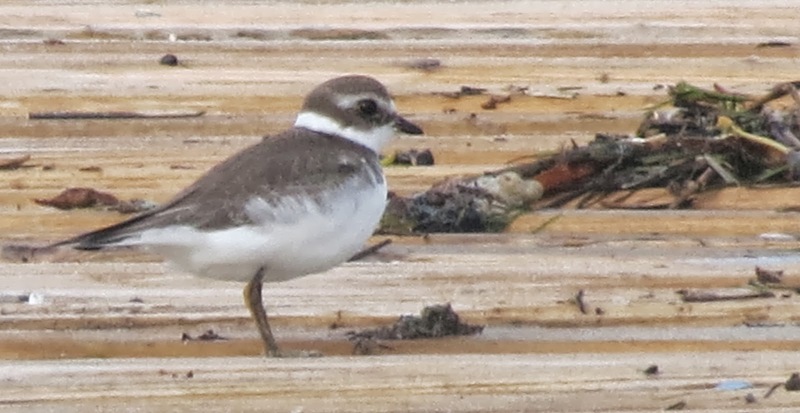 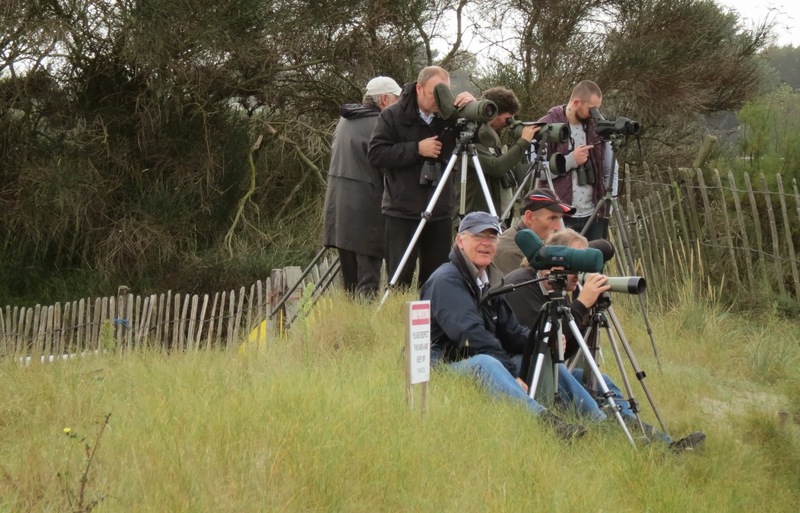 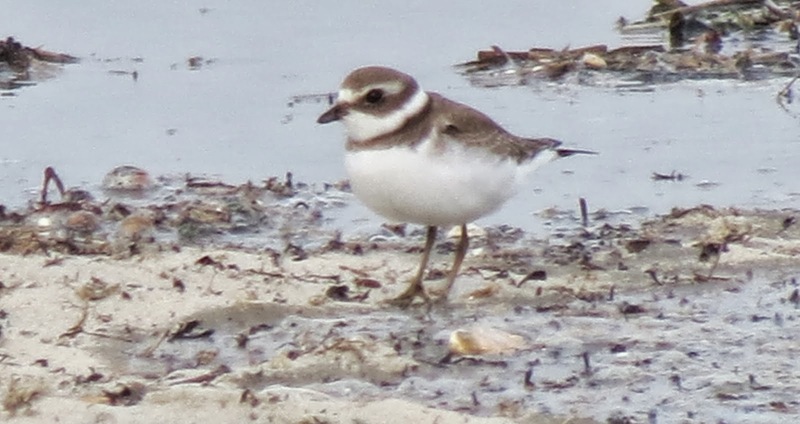 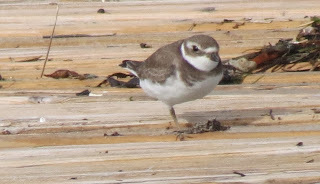 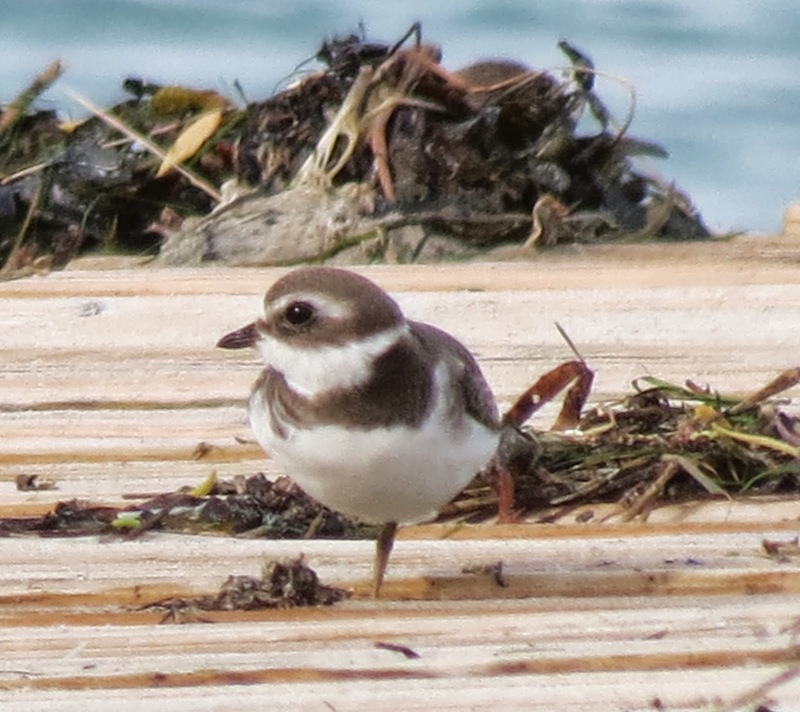 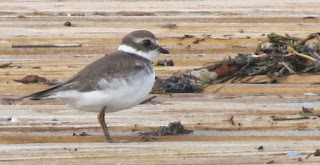 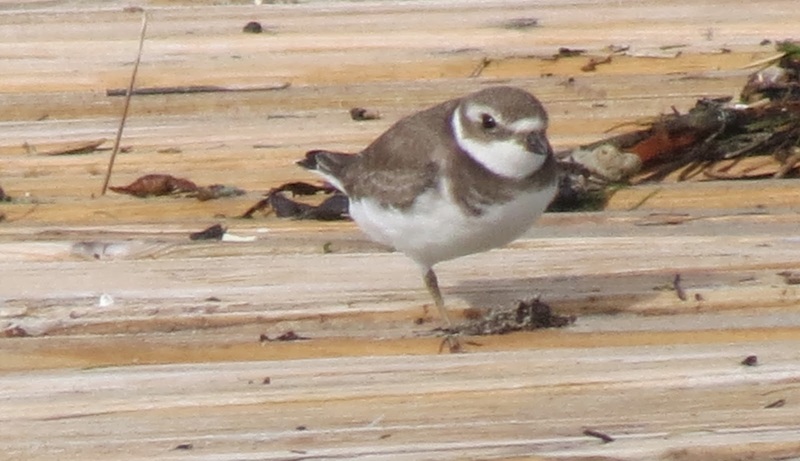 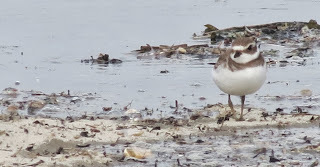 Andy Johnson discovered a first-winter SEMIPALMATED PLOVER in the high tide wader roost at Black Point, Hayling Island (Hampshire) on Thursday morning - the bird showing well for an hour before flying off east with 6 Ringed Plover at 0925. Considering the number of Ringed Plover (around 130) and the conditions (roost easily spooked), AJ did exceptionally well in finding and locating such an incredible rare but it was the tell-tale Spotted Redshank-like call that alerted him to it as he 'scoped and counted the roosting plovers. 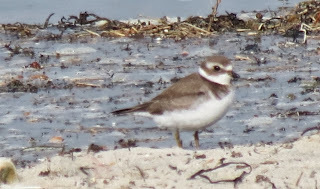 Along with around 100 others, I visited yesterday and thoroughly grilled the 127 Ringed Plover present as the tide rapidly encroached the sand bank. 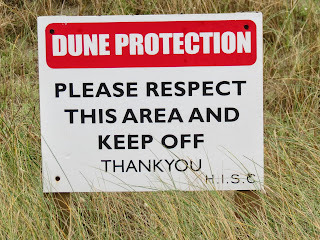 By late morning (1115), there was no sign of it. 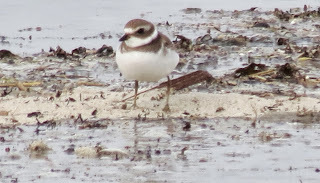 I then gave up (as did virtually everyone else), but just 15 minutes later and AFTER high tide, a tiny group of Ringed Plovers arrived and remarkably the SEMIPALMATED was with them. 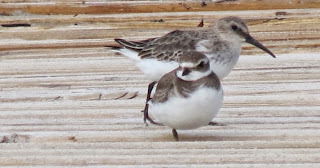 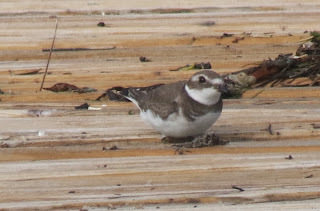 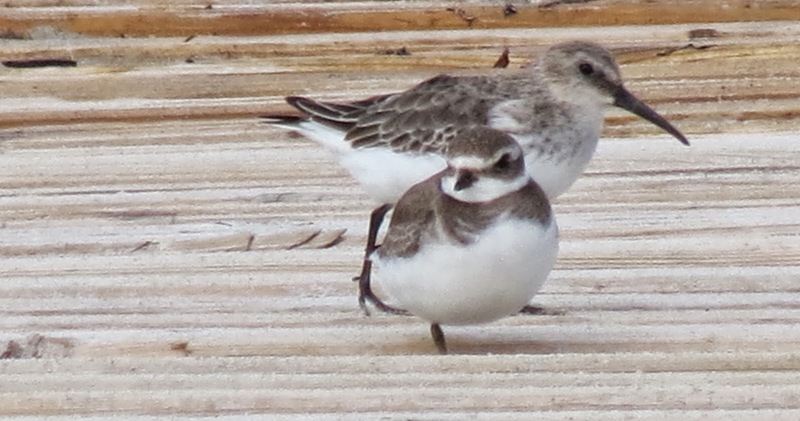 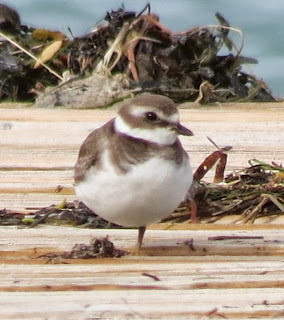 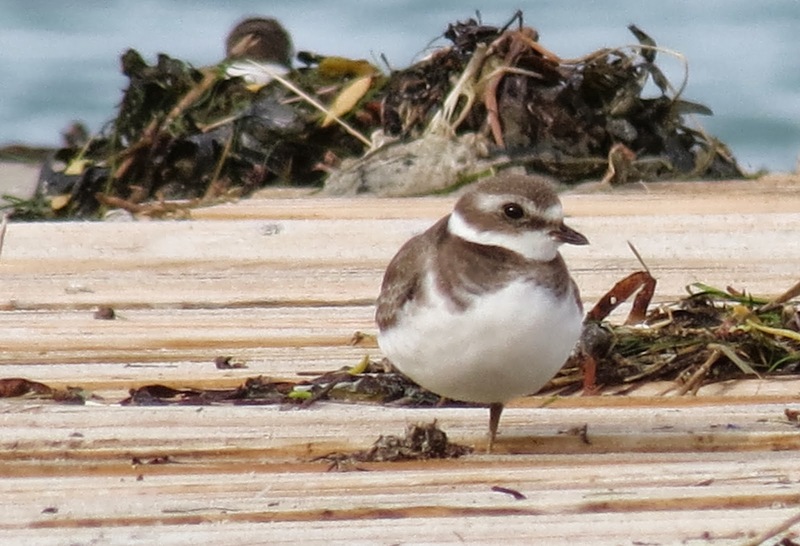 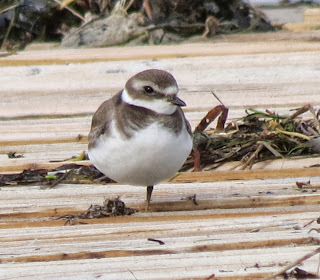 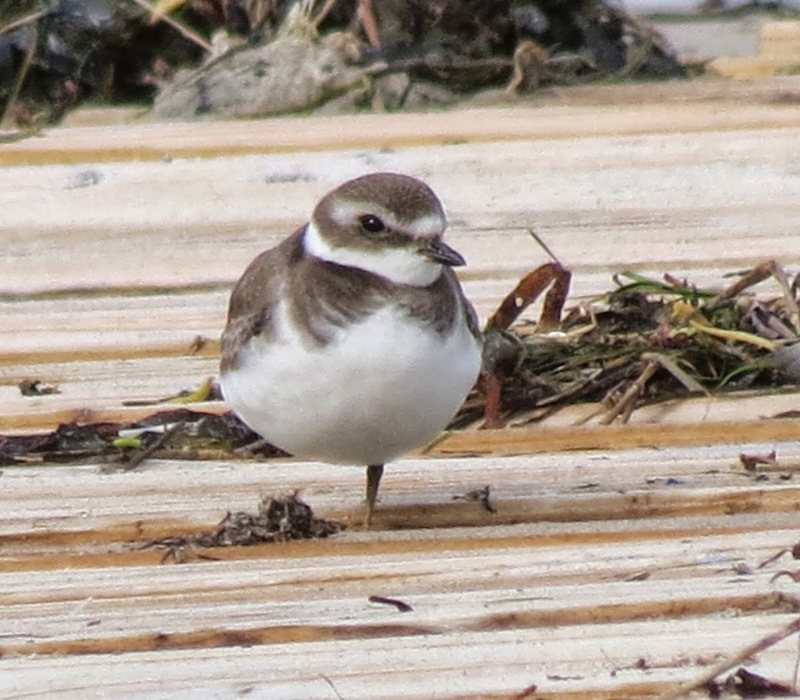 Even more incredibly, just this bird and a Ringed Plover remained (and a single Dunlin) over the two hours that the tide remained high, roosting on the wooden slipway on the point. 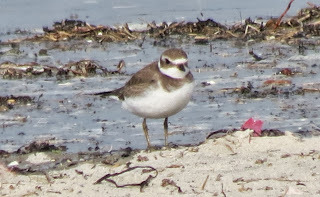 If you can, try and stay within the parameters of the top of the beach and do NOT cross the rope. 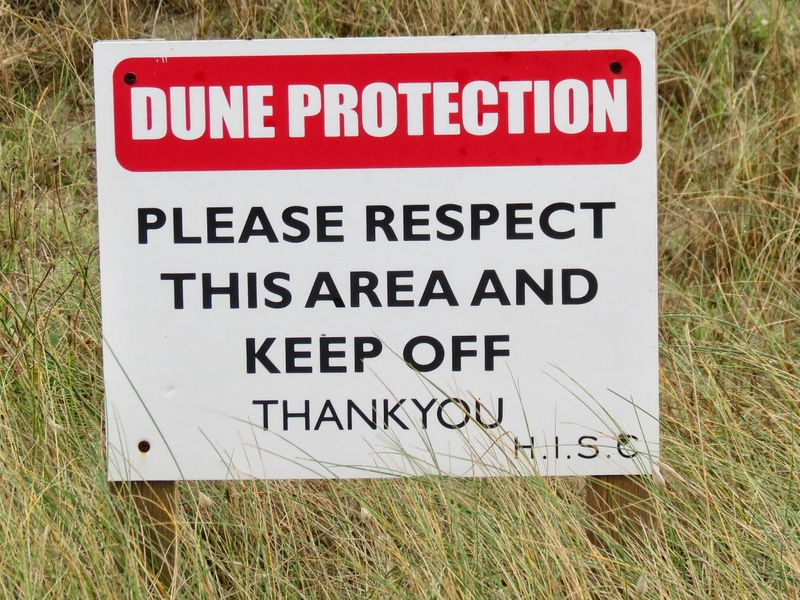 The sailing club and local naturalists are trying to protect the fragile dune ecosystem.